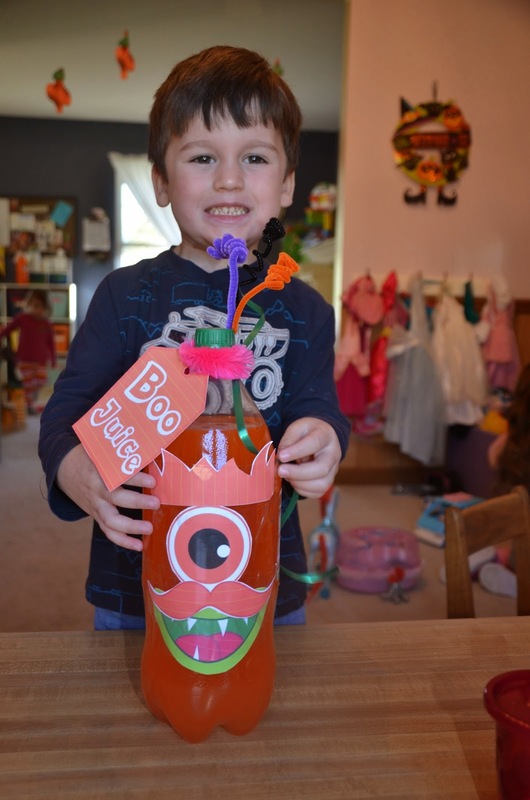 Our little monsters made Boo-Juice to take home. You need is Orange Soda or Orange Drink. Wrap pipe cleaners around the top. Add Tag and Ribbon to the top. Design it anyway you want. You can't go wrong! !